This non-greasy, easily absorbed eye gel effectively soothes and moisturizes the skin around the delicate eye area, reducing dark circles and puffiness. 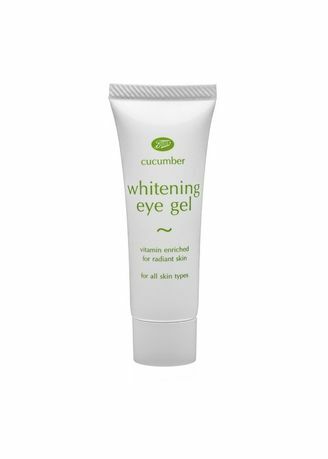 With whitening complex to lighten and cucumber extract to cool and help perserve skins natural moisture balance. Leaves your skin smoother and brighter. Gently apply to the area around the eye. Use morning and night for the best results.